Be a part of our Handi Quilter Community! - SIQS Owner pricing for all other HQ Club and Technique classes with in-house or guest staff. Save some $$$ - purchase a Classroom/Service Access Pass. Not an SIQS owner yet? Purchase an Access Pass and we'll adopt you as one of our own - receive the same benefits as an SIQS owner. If you purchase a machine from us within 90 days you'll get the fee back in a Sew Inspired credit. Fee is $500. 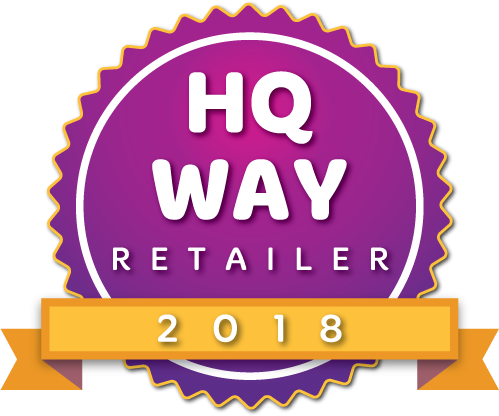 Retailers earn The HQ Way Award by providing superior education and support to their customers. They carry a full line of machines, host events, participate in their local quilting communities and keep their team current on new products and technical training. Sew Inspired is proud to be recognized as an HQ Way Award winner for ten years, for outstanding service, inspiration, and education. When you purchase an HQ quilting system from us, you're not just investing in a machine. You're investing in practical experience and exceptional education provided by dedicated quilters. We're proud of this award and work hard to achieve it!